Update 15th of November: I'm back to playing Angel of Glory's Rise, but Lab Maniac is no longer part of the deck. The win con section will be updated at some point. 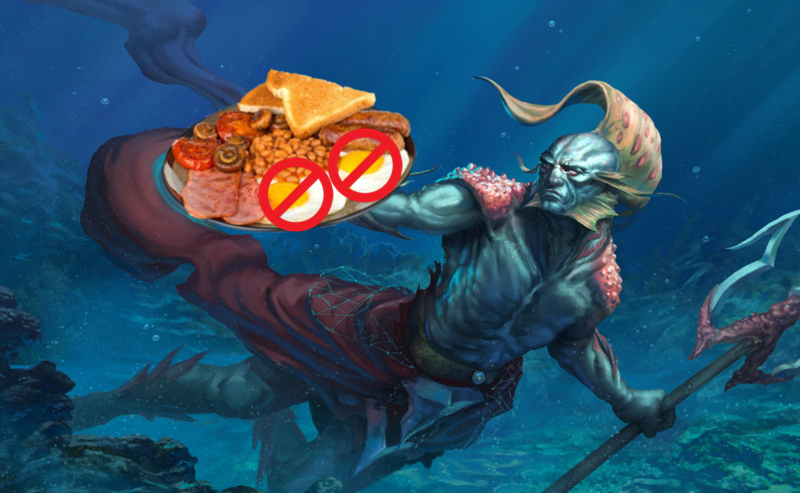 Breakfast Hulk's biggest strength lies in being able to play the two most compact and mana-efficient game-winning combos in all of cEDH: Hermit Druid and Flash Hulk. On top of these two combos, the deck's suite of win conditions is rounded out by several backup plans that can win through the type of hate we're otherwise weak to and let us play a slower game if need be. Narcomoeba trigger goes on the stack and resolves, putting it onto the battlefield. Play Cephalid Coliseum from the graveyard with Muldrotha's ability. Play Lion's Eye Diamond from the graveyard with Muldrotha's ability. Crack LED for and use two of those plus one other, random Mana to cast Laboratory Maniac from the graveyard with Muldrotha's ability. Use your remaining to activate Cephalid Coliseum's Threshold ability to draw on an empty library and win the game with Laboratory Maniac. Play Lion's Eye Diamond from the graveyard. Copy Muldrotha with Phantasmal Image, let the original go to the graveyard. Play LED from the graveyard. If you feel like you need extra protection here, you can cast Grand Abolisher from the graveyard here, as this copied Muldrotha does not need to use its ability to play a creature before the original Muldrotha enters again. Crack LED for and use that mana to cast Necromancy on the original Muldrotha. We can cast Laboratory Maniac and activate Thrasios to draw on an empty library and win the game. If someone tries to remove our Laboratory Maniac in response, we can just activate Thrasios again in response to their interaction. We draw our whole deck. We cast our outlet spell, which means casting any Instant, Sorcery, or Enchantment, holding priority, and countering it with Swan Song in our case. This gives us a 2/2 Bird. We cast Timetwister to shuffle everything back and draw seven cards. Or if we're using Memory's Journey instead: We cast Memory's Journey , targeting Swan Song and the spell we countered. We cast Noxious Revival on our Timetwister / Memory's Journey to put it back on top of our library. Remember: We have infinite Mana, so we don't need to pay 2 Life to do this. We draw Timetwister / Memory's Journey . We cast Timetwister to shuffle everything back and draw seven cards. If we're using Memory's Journey instead, we cast it, targeting Noxious Revival , Swan Song , and the spell we countered. Repeat steps 5-7 until we have an arbitrarily large army of birds. Repeat the Loop, replacing Swan Song and the other spell with two removal spells to clear our opponents' boards, and Cabal Therapy to deal with their hands if we're doing Memory's Journey . Demonstrate the Timetwister / Memory's Journey loop to create infinite birds. Demonstrate the same loop, but with removal instead of Swan Song and another spell. Propose to shortcut to a gamestate where we have a million or more birds and all our opponents have in play are lands. If we used Timetwister for our loop, they shuffle their graveyards and hands into their libraries and draw seven cards. We will have our whole deck except one card in our hand for the remainder of that turn cycle. After that, we play out the final turn cycle. If we are somehow stopped at this point, we can restart the loop on our next turn. If not, we wait until it's our turn again and go face with a board full of birds. GG! If you're uncomfortable with having to pass the turn to win off your Twister/Journey loops, you can slot in something like Ebony Charm as your outlet. It drains an opponent for 1 Life with each iteration, which will let you win on the turn you go off. Generally speaking, anything that will remove your opponents' Life or library in some form can serve as a loop outlet. Another method of winning (thanks to tw0handt0uch for pointing it out!) on the same turn is by looping Deep Analysis instead of Swan Song , making every opponent draw their deck. Of note: Deep Analysis will only work with the Memory's Journey loop, as it aims to make our opponents draw their decks. Timetwister prevents that, as it shuffles everything back. Special thanks to Kahno for pointing out another Twister Loop option: With our whole deck in hand, we can cast Cabal Therapy to discard Deathrite Shaman . After that, we reanimate him with Postmortem Lunge / Shallow Grave , use his second ability to make each opponent lose 2 Life, cast Abrupt Decay on our Shaman, and then shuffle everything back with Timetwister and repeat that until everyone else is dead. Note that this line will only work if your iteration of the deck has Postmortem Lunge and/or Shallow Grave . 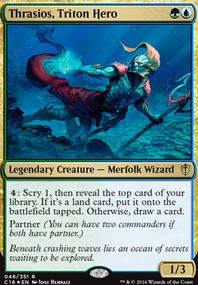 Due to the somewhat risky nature of some of our Muldrotha wins, casting Silence or Grand Abolisher before or as early as possible during the combo is highly recommended. Also, please note that Deep Analysis, Shallow Grave, and Postmortem Lunge are not in the current version of Breakfast Hulk. We mentioned these loop outlets here in case you want to build your own version of Breakfast Hulk that includes one or more of these cards. 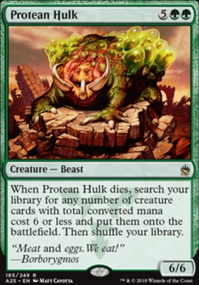 Put Protean Hulk onto the battlefield. Decline to pay Hulk's mana cost reduced by up to . Sacrifice Hulk as part of the resolution of Flash due to not paying for it. Three of these creatures will be used in the following steps of the combo, while Grand Abolisher shuts off most of the cards that could interact with us. Cephalid Illusionist and Nomads en-Kor form the so-called „Cephalid Breakfast“ combo. Since Cephalid Illusionist mills our top three cards whenever it becomes the target of a spell or an ability, we can repeatedly target it with Nomads en-Kor 's ability. This mills our whole deck three cards at a time. At some point during the milling process, we are going to mill Narcomoeba . Its trigger then goes on the stack and resolves, putting it onto the battlefield. Once our whole deck is milled, We Flashback Dread Return , sacrificing Cephalid Illusionist , Nomads en-Kor , and Narcomoeba to return Laboratory Maniac to the battlefield from our graveyard. We sacrifice Hapless Researcher to activate its ability to draw a card on an empty library and win the game with Laboratory Maniac 's effect. 1. Cast Laboratory Maniac and a draw spell to win. 2. Cast Muldrotha and Lion's Eye Diamond and start our Twister loops. Get the Muldrotha loop going to make infinite Mana. Our whole deck is in our graveyard right now, so we need to Flashback Memory's Journey targeting Timetwister , Nature's Claim , Mana Crypt (or any other Artifact or Enchantment). We draw those three cards. Note that this win requires us to Flashback Memory's Journey , which means that we can only do the Twister loop here, not the one with Memory's Journey . We draw our three-card deck. We cast Mana Crypt , cast Nature's Claim on our own Mana Crypt and destroy it to gain 4 Life. We cast Timetwister to shuffle everything back and draw seven cards. We cast Noxious Revival on our Timetwister to put it back on top of our library. Repeat steps 5-9 until life total is satisfactory. Proceed to Twister loop as usual. We cast Brainstorm to put Noxious Revival and a cantrip on top of our deck. We cast Windfall with our whole deck in our hand and an active Angel's Grace . Everyone discards their hand and draws however many cards we had after casting ANAG. This might already kill some players. We draw our Noxious Revival and cantrip. We cast Noxious Revival targeting Windfall . We use our cantrip to draw the Windfall . We cast the second Windfall . Since our opponents still have most of their decks in their hand, it doesn't matter that we're empty-handed when we do it. One thing of note regarding all the ANAG lines: They become much safer to pull off if we cast Silence and/or Grand Abolisher before we go for the win. We recommend doing this whenever possible, since the Muldrotha-based lines in particular are very all-in. Apart from these main and backup lines, there are a lot of other things we can do if we mix and match all these different win conditions. If we have, say, a Silence, a Cephalid Illusionist, and a tutor, we can find Nomads en-Kor and do a Naked Breakfast combo. We can do the same with Muldrotha if we find the appropriate pieces/tutors. This deck really can win in a ton of different ways, and most of them require few cards and little Mana.